bookcooker: Cocktail Hour: The J.Crew Cocktail! Cocktail Hour Number Two! 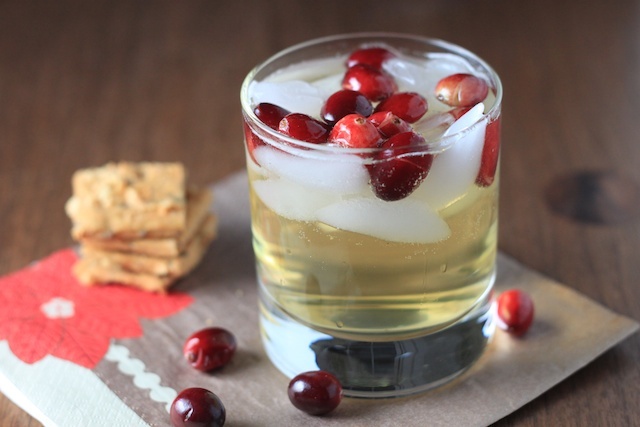 If you are looking for an unfussy but festive cocktail for your Thanksgiving gathering, this is it. Also, if you are looking for relief from the crush of crowds at your local Whole Foods grabbing at the heritage turkeys and bags of stuffing mix, this will also do the trick. I had this cocktail last week at a fun little party my friend and I went to at my local J.Crew store for "very special" customers to introduce the new holiday collection. Now, I am sure anyone could have attended the party, but my credit card statement confirms that J.Crew and I have a "very special" relationship. This elegant but simple cocktail fit in perfectly amongst the soft cashmere, sparkly sequins and rabid J.Crew shoppers at the party. Want to know whats in it? Combine the vodka and ginger in a glass with ice. Take the cranberries and smash them open with the flat side of a knife. Add to the drink, enjoy! 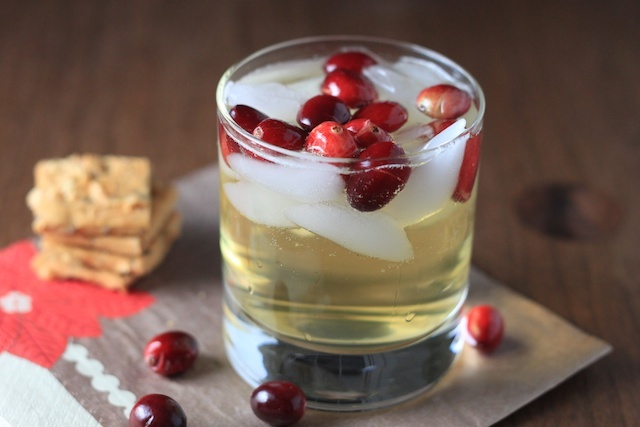 What a perfectly simple and delicious holiday drink! Thank you for sharing!